We never forget we're designing a place to call home. When you're developing a senior living community, you need a partner who understands the people you serve as well as the business you're in. We're immersed in both every day. At RDG, design is our business, but people are our passion. We create safe, satisfying and complete living environments that market well and function efficiently — environments that support a healthy lifestyle. 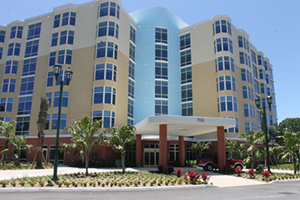 Our designs enhance quality of life with an atmosphere residents are proud to call home. But they also succeed because we work closely with clients on the financing, marketing and scheduling issues that impact the project every step of the way. Sustainable LEED design strategies are a component of every RDG project. We focus on improving quality of life with affordable, efficient choices.